Love Live! 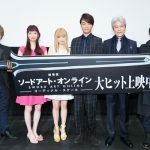 is a TV animation whose story takes place at Otonokizaka Academy, an imaginary girls’ school close to Akihabara station and Kanda station in Chiyoda Ward, Tokyo. 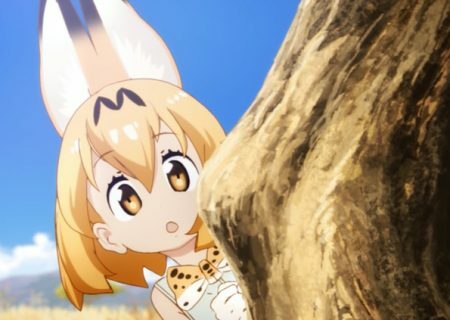 Its first season was broadcast in 2013 with 13 episodes, and its second season started the following year with 13 more episodes. The story is about nine students from Otonokizaka Academy who form an idol group called μ’s (Muse) to save the school from shutting down. Their goal is to become famous and make the school’s name publicly known, so there would be more applicants and prevent the school from having to close down. Today, we will introduce to you some sites from the anime’s setting which are located in Akihabara and Kanda! Takemura is the store which became the model of Homura, the wagashi (Japanese-style confectionary) store in the anime which also is the home of μ’s leader, Honoka Kousaka. Takemura is a famous ‘kanmi-dokoro’ (wagashi café) loved by the local residents since its establishment in 1930. The three-story wooden house has been designated as one of Tokyo’s Metropolitan Selected Historical Buildings and is a precious cultural heritage. Age-manjuu and Anzu Cream Anmitsu are the top two desserts at the cafe. Age-manjuu is a deep-fried manjuu (bun) filled with adzuki-bean jam. Anzu Cream Anmitsu is a Japanese-style parfait with bean jam, vanilla ice cream, and pieces of apricot on top of kanten (agar) and adzuki beans. Enjoy these traditional Japanese desserts at a historical Japanese house of beauty. The area starting from Akihabara Electric Town Exit through the street with electrical appliance stores such as LAOX and Onoden was where μ’s distributed fliers for their first concert. The area appears in the anime quite a few times throughout the series. Akihabara UDX is located on the street across from Akihabara Station. It is the building behind the escalator and the stairs in the photo in No.2. The building in reality includes office rooms and commercial facilities. However, in the anime Love Live!, the building is illustrated as UTX Academy, the school where the famous school-idol group A-RISE is registered. The large display screen at the front of the photo is another place that frequently appears in Love Live! Many promotional videos of voice actresses are shown on this screen every day, just like the screen in the anime which shows videos of idol groups. Shouhei-Bashi is the bridge across Kanda River. During the Edo period, the bridge was made of wood. The Shouhei-Bashi was rebuilt in April 1923 during the Taisho Era, and it was the first arch bridge across the Kanda River made out of reinforced concrete. The members of μ’s have always used this bridge as their meeting spot whenever they planned a meeting or a member wanted to talk about something important. You can get to Kanda Myoujin Shrine in a few minutes by walking through the street diagonally to the right of Shouhei-Bashi in the photo. This shrine is portrayed in the anime as the place where Nozomi Toujou, the member of μ’s who is also the vice president of the student council, serves as a shrine maiden. Takemura, the model of Honoka Kousaka’s home, is located a few minutes away from this place. You can get there by walking over the bridge and going left diagonally through the narrow street in the photo. Kanda Myoujin is a historic Shinto shrine which has been worshipped by many shoguns, starting from Ieyasu Tokugawa, the first shogun of the Edo shogunate. This shrine appears in Love Live! as Nozomi Toujou’s home. There are scenes in the anime where Nozomi is sweeping the grounds of the shrine wearing a shrine maiden’s uniform. The shrine also is used as the training place for the μ’s members. The members of μ’s often come to this shrine to pray for their success. Many ceremonies are performed at Kanda Myoujin Shrine. The ceremony in the photo is a ritual to offer Gagaku, a type of Japanese ceremonial court music, to the gods. The young ladies wearing the uniform in white and red are the shrine maidens. 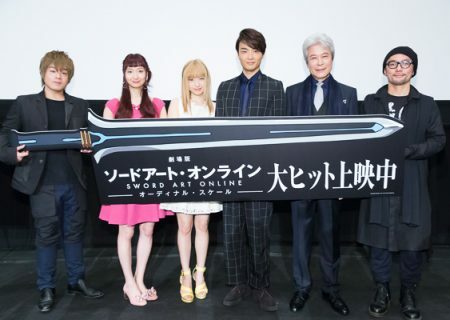 If this were a scene from the anime, I’m sure Nozomi would have been in this photo, too. This is a photo of the shrine office of Kanda Myoujin. At the shrine, they sell goods which are thought to have spiritual powers, such as o-mamori (good-luck charms) and ofuda (wooden or paper talismans). After Love Live! gained popularity and the shrine became widely known as the spot which appears in the anime, they started to also sell Love Live! character goods for the fans. This photo is taken from the bottom of Otoko-Zaka, looking up at the hill. The members of μ’s were training at this location to build up their body strength, and they used the stairs to run up and down. The stairs are very steep. If you see anyone running up these stairs, I can assure you that they are Love Live! fans. When you look down at Otoko-Zaka from the top, you can see how steep the slope is and how hard it is to climb up all the stairs. 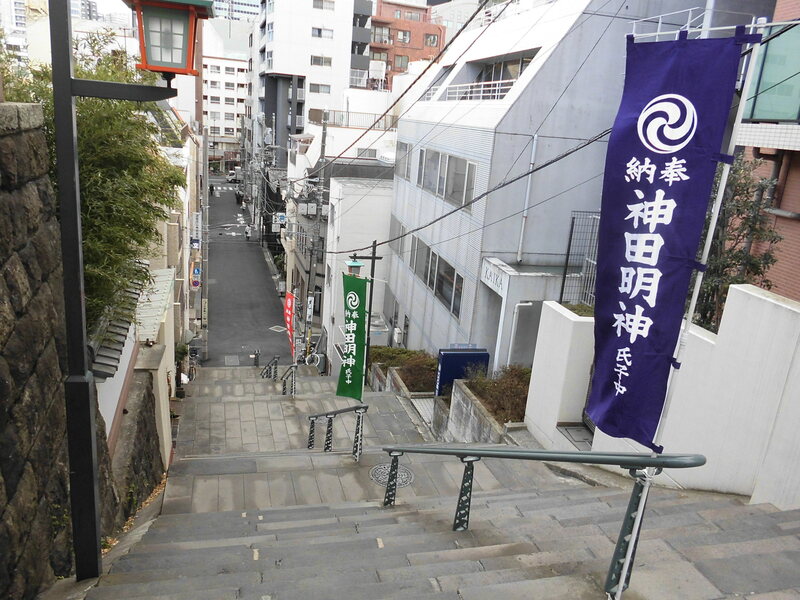 Once you climb up Otoko-Zaka, you are standing in the precinct of Kanda Myoujin. There is a scene in the anime where the μ’s members are taking a rest while sitting on the stair steps. After you have enjoyed the locations of Love Live! at Kanda Myoujin Shrine, I recommend that you try drinking Myoujin-Amazake, the sweet drink which has been loved for over 170 years! This amazake is a famous soft drink sold at Amano-ya, the traditional café which was built next to Kanda Myoujin in 1846. Since the café’s establishment, this amazake has been made from koji (malted rice) prepared at the café’s cellar. This nonalcoholic drink has the natural sweetness of koji, and they provide it cold in the summer, and hot in the winter. It is a healthy drink loved by people since the Edo period. Please try going to these places when you visit Akihabara. Even if you are not a fan of Love Live!, you can enjoy Japan’s beautiful and historical scenery. I especially recommend the traditional desserts at Takemura and Amano-ya. The locations I have introduced to you today are all close to each other and within walking distance, so enjoy going to all of them! 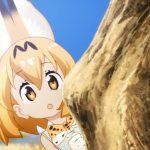 Unravelling the Mystery of ‘Kemono Friends’: Why is this Anime so Popular?